Pete Jennings & Sons has been proudly painting services in Cherry Hill NJ and nearby towns along with superior roofing services since 2000. Our goal is to always render professional and competitively priced residential and office painting services to property owners, tenants, and business managers in the Cherry Hill, New Jersey area. Our kind, trained, savvy painters are on staff year round to provide speedy and impeccable painting services in and around Cherry Hill. You will be provided with long lasting painting products and expert painting professionals who consistently strive for painting perfection. 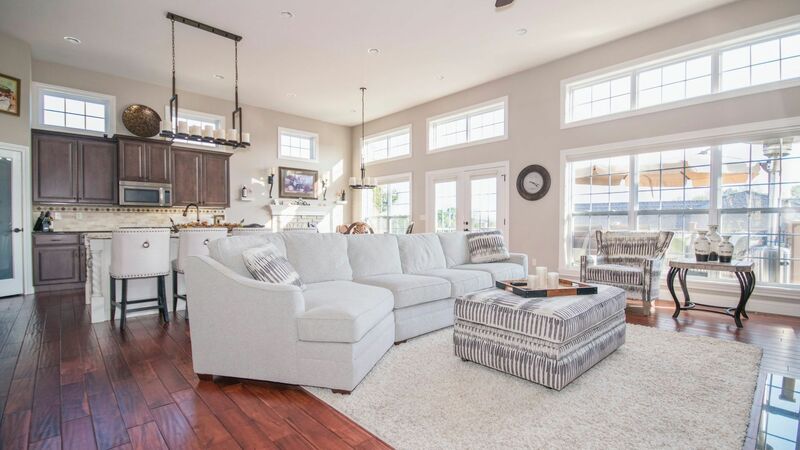 Whether searching for top-notch residential painting or business painting in the vicinity of Cherry Hill, NJ, call Pete Jennings & Sons for the highest caliber of service and care! Would you like assistance with choosing colors and paints to enhance your house or commercial property? Pete Jennings & Sons can help you choose what paint hues will make your Cherry Hill painting job outstanding! Our Cherry Hill area paint service is consistently thorough. After we paint a house it'll look new again! 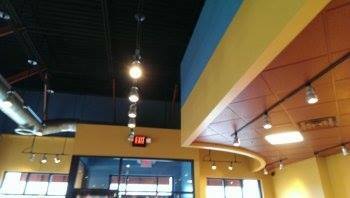 We have been proudly painting the Cherry Hill area since 2000. Exterior painting surfaces are prepared by thoroughly scraping and cleaning as needed. Quality paint is then put on when the surface is clean and rain is not expected soon. Inside painting surfaces are prepped as needed. Oil or latex paint is then brushed or rolled on to walls and ceilings making your Cherry Hill area domicile appear new again. Office surfaces are prepped by washing as required and filling in any scratches or holes. Then durable, resilient latex paint is applied to walls making a cheerful business place that is pleasing to employees and customers! Cherry Hill area decks take a beating from the weather. 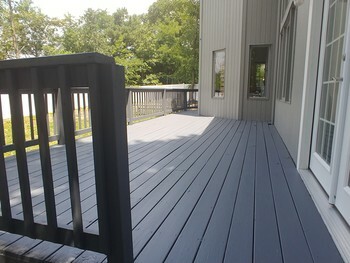 Under ideal circumstances, decks should be painted or stained every one to two years. Otherwise, moss and mildew will grow in gaps and divots where water collects. Pete Jennings & Sons's Cherry Hill painters prepare decks by repairing damaged or rotten wood and then pressure cleaning decking to remove mold, dirt, and moss. Then one or two coats of a waterproof deck paint or deck stain is applied. 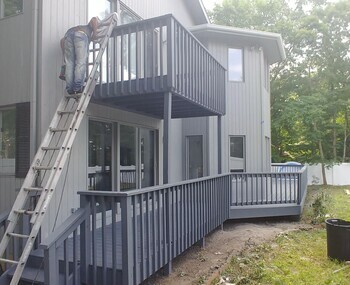 When finished your deck will look like new once again! 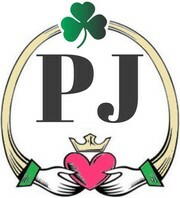 All work by Pete Jennings & Sons is guaranteed. Our desire is that every customer be thrilled with Pete Jennings & Sons's painting services and eager to show others the magnificent work. Affordable Premium Painting in Cherry Hill.